Insectementvotre.com is born in 2013, created by B.Jacques JEANPIERRE. From the start Insectévotre is part of a sustainable development and pedagogy approach to promote entomophagy. Insectely your develops first a farm of crickets in Thailand in order to experiment farming techniques respectful of the environment and European sanitary standards. As early as 2014, InsectileYou form a cooperative of pickers and edible insect breeders who are trained in breeding techniques and edible insect preparations. The latter were developed by Nicolas Thiam in charge of the insect breeding program (entomoculture). 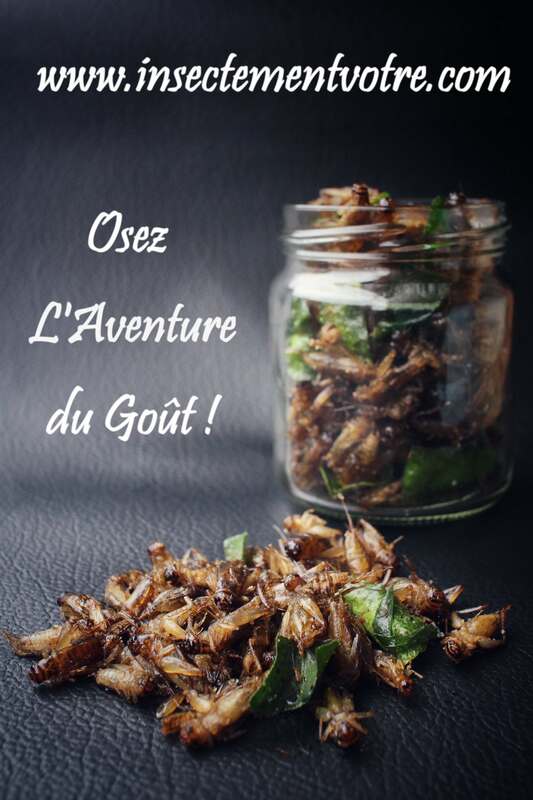 In France and Europe InsecteYour is rapidly emerging as a central player in the edible insect trade with its unique feature to date, being involved throughout the production cycle of edible insects, from birth to your plates. In addition, the equipment and structure is gradually adapting to a growing demand from the public. So by the end of 2014, the first chocolates with insects, insect meals and other derived products are born in our shop. So Instantly yours calls on French craftsmen such as the COULOIS chocolate factory to develop these products. As of 2015, in order to meet the international demand for edible insects, insectile yours starts its rise by obtaining different certifications, and validating its processes with recognized laboratories in Europe and the USA. The year 2015 marks an important transition with the arrival of our products in the channels of the supermarkets as well as the development of new ranges of processed products, more and more economic actors choose the edible insects of insects to be Their customers. What to know about our products? Where do our insects come from? All our insects come from the 6 cooperative farms. They are developed and managed by Nicolas Thiam with environmentally friendly breeding techniques and European sanitary standards. Insects live in large boxes or in semi-freedom. Our entomoculture techniques correspond perfectly to the needs of insects, particularly in terms of control of their space of access to food and water, under these conditions they mature in a few weeks. How are these insects fed? Our insects have a natural diet, without processed products respecting their natural diet. The crickets and tenebrion are fed on local fruits and vegetables, and the locusts are fed with all kinds of vegetables. For silkworms and bamboo worms a diet of boiled murier for one and bamboo for the other. Insects find most of their need for water in their food. How are our insects prepared? All our insects are delivered ready to eat in quiche salad or as a replacement for certain foods such as bacon or nuts. However, thanks to our unique technique of dehydration you can easily rework them a little after having rehydrated 5 min in hot water.